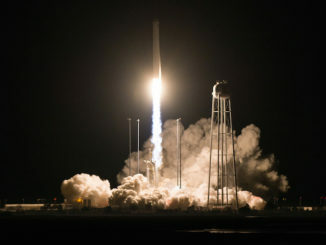 SpaceX’s next Falcon 9 rocket ignited its Merlin main engines for several seconds Thursday at Kennedy Space Center’s pad 39A ahead of a planned launch next week. 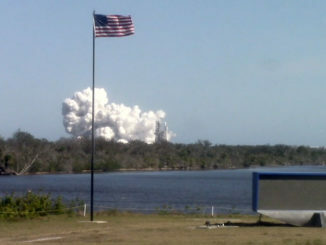 The Merlin 1D engines fired at 4:30 p.m. EDT (2030 GMT), sending a plume of exhaust out the flame trench to the north of pad 39A. Liftoff is scheduled for Sept. 7 with the U.S. Air Force’s X-37B spaceplane, a robotic, automated mini-shuttle designed for secret experiments in orbit. The Falcon 9 will return to SpaceX’s hangar at pad 39A this weekend for attachment of the military payload. 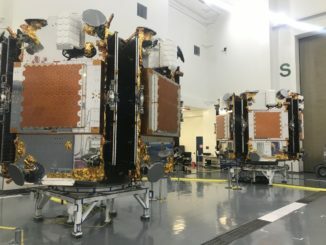 Officials have not released a launch window for Sept. 7.